The University of Alabama (UA) Department of Communication Studies is located on the university’s campus in Tuscaloosa, Alabama. Since 1973, UA has offered students the opportunity to study communications in a mild climate just a short road-trip away from the ocean. UA’s Department of Communication Studies is part of the university’s College of Communication and Information Sciences. UA has offered communications degrees since 1973, when the school’s current College of Communications was founded as the School of Communication. In 1997, the school merged the College of Communications with its School of Information Sciences and renamed the newly joined colleges. 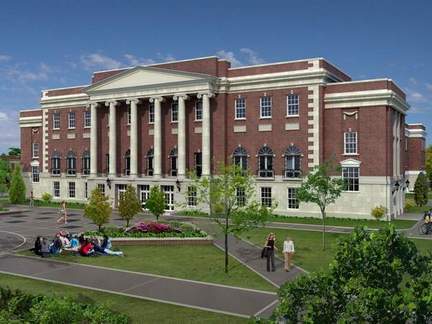 The College of Communication and Information Sciences at UA is located in historic Reese Phifer Hall. 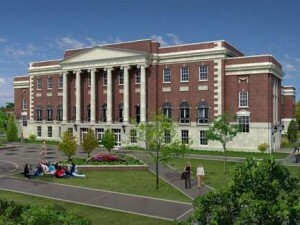 Reese Phifer Hall was built in 1929 to be the home of the student union and was originally christened the Alabama Union. Until the seventies, the building was the center of student life at UA, housing the cafeteria, the university newspaper office, the supply store and the school’s band. Today, the graceful columns of this imposing building still mark the heart of the UA campus. A degree in communication studies has traditionally been a program of personal as well as academic development. Communications majors go on to establish careers in a diverse array of fields or to earn graduate degrees in many other disciplines. UA offers undergraduate degrees with emphasis on rhetoric and public discourse, organizational and interpersonal communication, and communication and culture. UA students can earn a Master of Arts in Communication Studies. Although the core program is the same for all graduate communications students, individual students can choose from electives that allow them to tailor the focus of their degrees to one of several areas. These include rhetorical theory and criticism, critical cultural studies, organizational and interpersonal communication or political communication. More and more, communications is recognized as being at the heart of all major professions in the United States. Communications majors have the crucial ability not only to communicate well but also to help others communicate better.